If you are new parents, you are busy nursing, changing diapers, and dealing with the emotional roller coaster of having a new life in your household. If you put your finances in backburner, I don’t blame you. As a new parent and a financial advisor, I can offer you a few absolutely necessary to-do items to safeguard the financial well-being of your family and your new baby. Now that you have a baby, you don’t just live for yourself any more. You have the responsibility of seeing your baby grow up. What happens if both you and your spouse die in an accident? 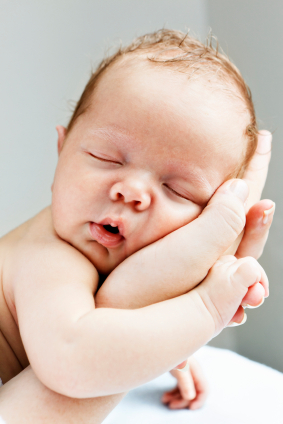 If you don’t have a will, the court will determine the baby’s guardianship. Do you want to leave that decision to the court without your input? If you don’t, get a will. Along the same vein, if you are the main bread earner of your household, make sure you buy term life insurance before you are run over by a truck. What else could your spouse rely on to raise the baby? I suggest buying a 20-year term life policy worth a half million dollars. For most folks, this can be purchased for less than $100 per quarter, a small amount to pay for peace of mind. Now that you’ve cheated death and lived to see your baby going to college, you don’t want to put your child in a situation where he or she has to flip burgers to pay for tuition. My wife and I decided to put aside $416 every month into a 529 plan for a total of $5,000 a year. The money will grow tax free, and if we can get a return of 8%, the money will grow to $180k by the time he is 18. You should help your baby based on your financial capability. If you can’t afford to put aside $400 per month, $100 per month over many years will be a great help as well. You can set up an automatic contribution and then forget about it. You will be glad 18 year later, when you have some money to help your child go through college. 1 Response to "Financial Check List for New Parents"
As a new parent, you’ll be going through the biggest, most life-changing event you’re likely to experience. And it’s not just your lifestyle and outlook that will change – the way you have to manage your finances will change, too.